Ismail, Ilays and Ibrahim are all GLL Sport Foundation supported athletes, from the same family and same sport. 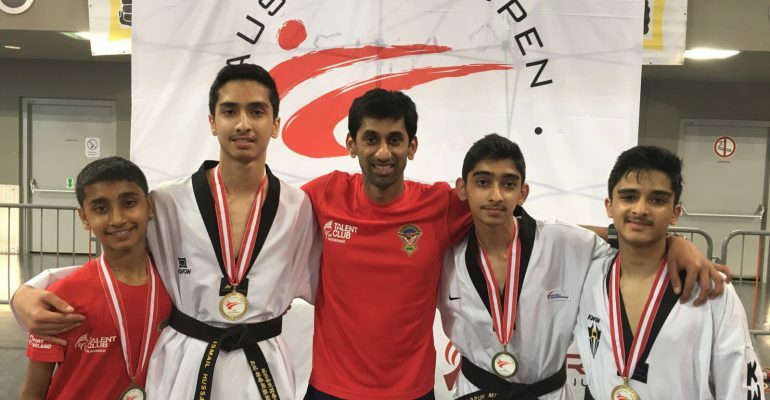 All three athletes are competing at a high level in taekwondo, travelling abroad frequently which adds up quickly. 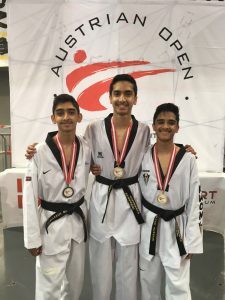 The triplets’ club, Gurumu Taekwondo was competing at the G1 A Class World Ranking Austrian Open at the weekend in Innsbruck. Over 47 countries and 1008 athletes competed. The triplets along with their teammates had been in training hard for this event including working through half-term. Ismail had a very difficult draw, with 39 players in his category. Also he is now in the lower end of the age group 14-17. Ismail had 5 tough fights against Belgium, 2 from Germany, Bosnia Herzegovina and in the final Serbia. The final took place at 10.30pm and we had been at the event since 9am! 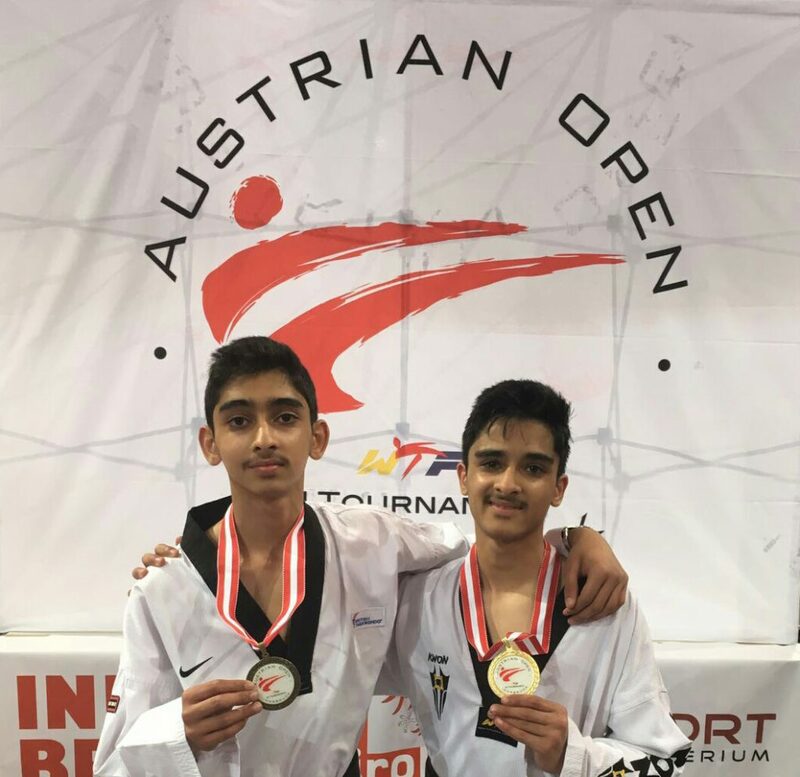 We are delighted to announce that Ismail has been crowned Austrian Champion (-55kg ) over the weekend! Ilays and Ibrahim had very difficult draws, but luckily were on opposite sides. Also they in the lower end of the age group 14-17. Ilyas had 4 tough fights against Italy, Israel and 2 from the Netherlands. The final took place at 10.30pm and his opponent was nearly 6ft tall! However, Ilyas pulled off a remarkable performance and won 6-5 and became Austrian Champion 2016 (-45kg) ! The final was watched by the director of GB Taekwondo who was very impressed. Ibrahim had opponents from Germany, Netherlands and Italy. He only lost out to a final against Ilyas going out in the semi-finals. However, winning bronze at a G1 is a massive achievement. The GLL Sport Foundation are very proud to be supporting the triplets and we are confident they have a very bright future ahead of them. Keep up the good work!